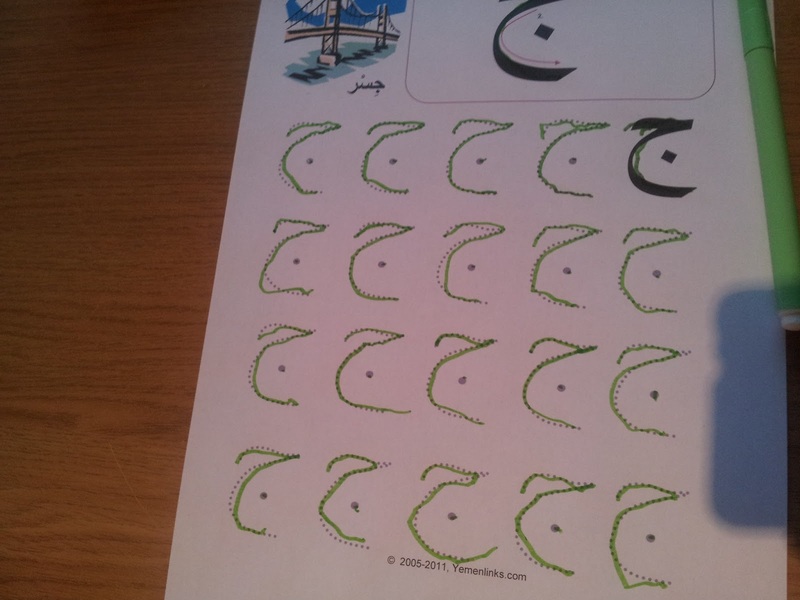 A - Z learning time !!! 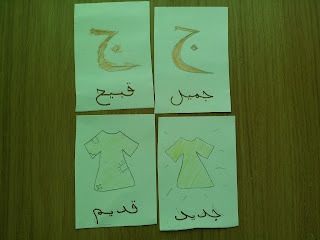 : Jeem week!!! 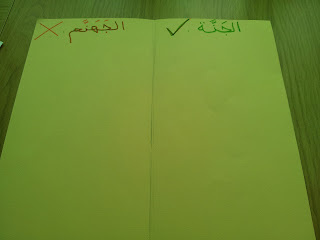 Alhamdulillah this "Jeem" week finished. 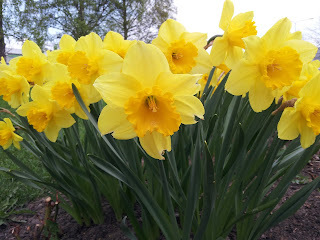 This is my first post for this week, for some reasons I couldn't come before. 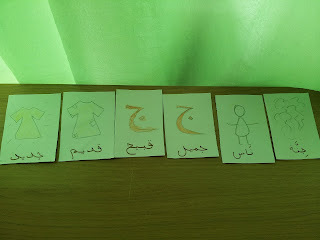 At first, we started new "Jeem" week with new friends alhamdulillah. 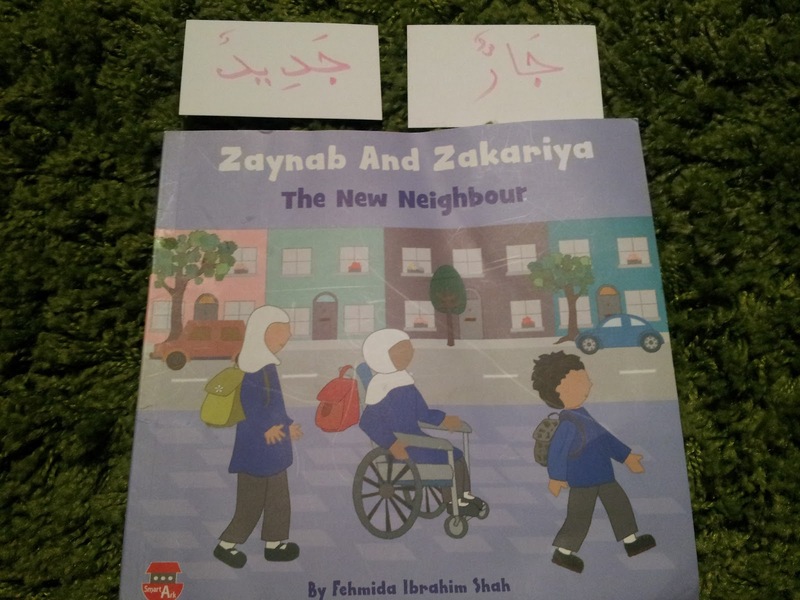 I met one Somalian sister our new neighbour Ummu Maryam and invited her with her kids(Maryam 4, Umar 3 and Sulayman about 2, inshaAllah they are waiting new baby too)) to our new "Jeem" class. That day after cyrcle time we only intoduced new letter with 4 formation and didn't do more. 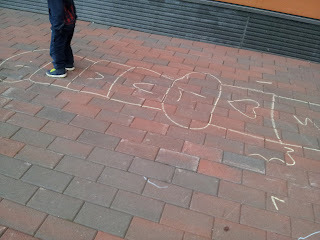 It day was for us like communication for our children. 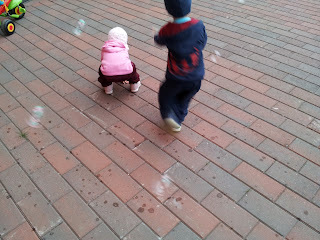 And we tried to meet with her everyday and go to Park with kids alhamdulillah. 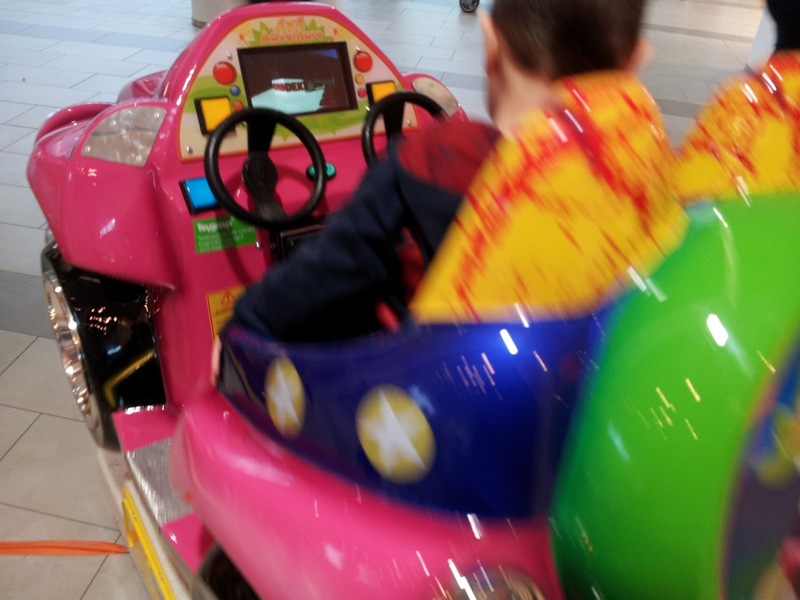 The second reason is i had busy week , going to the dentis, A had doctor and more playing in outside with new friends while nice weather. Last I wanted to complete theme for this week and etc. 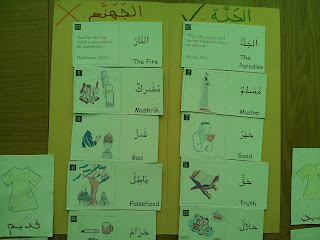 Here how and what we learned during this week inshaAllah. 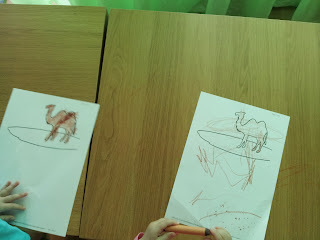 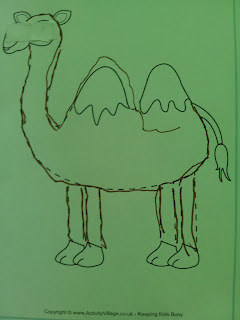 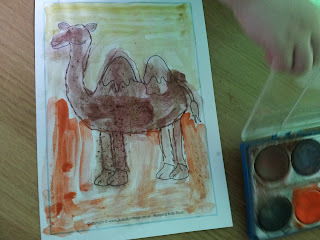 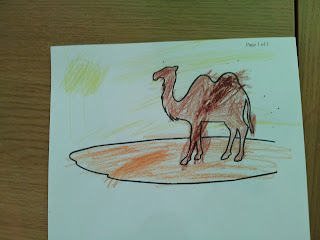 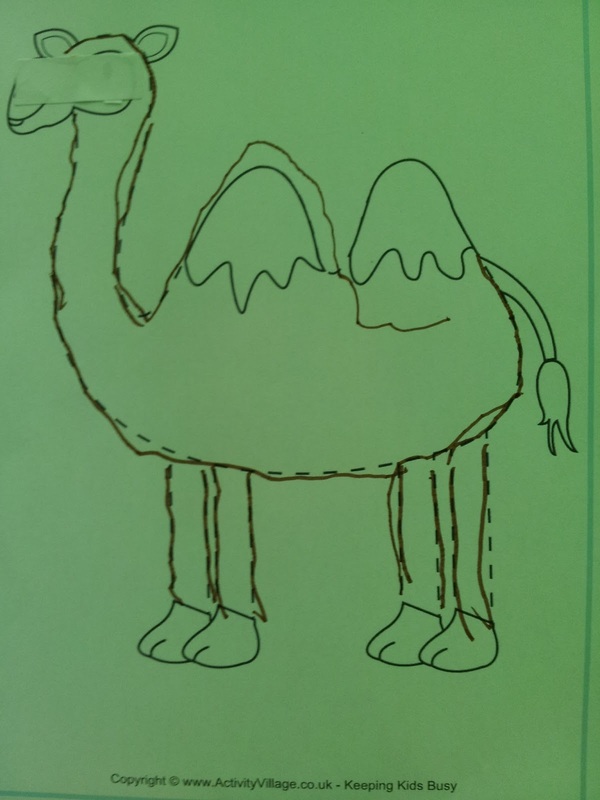 For us this week was Camel theme , "Jamal". 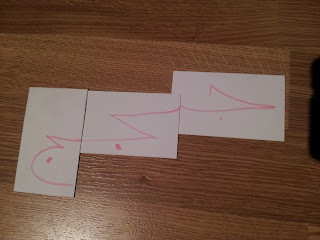 We learned about "Jamal"s a lot and used these links. 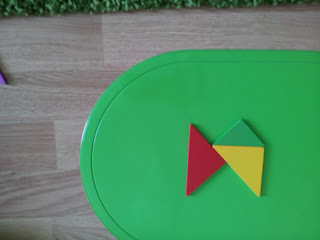 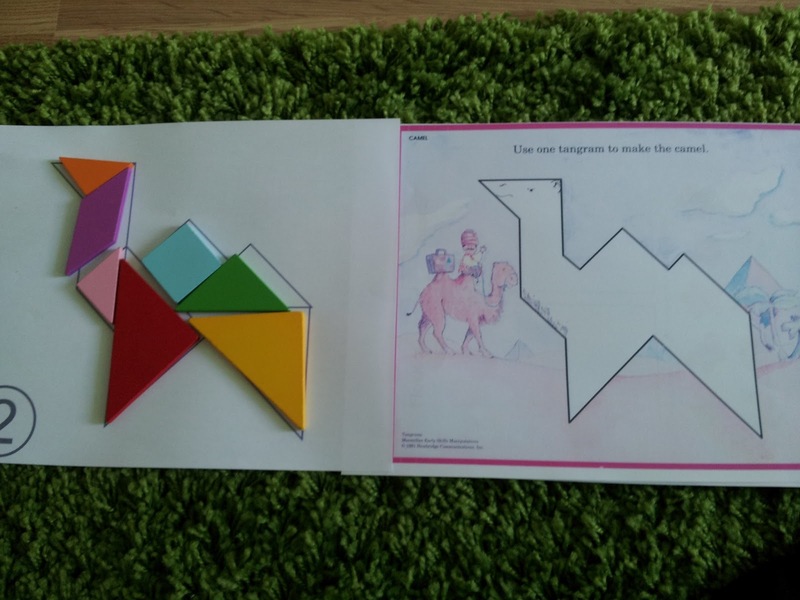 For math he did tangram camel, first I printed for A without lines. It was difficult for him then I find with line and made card. 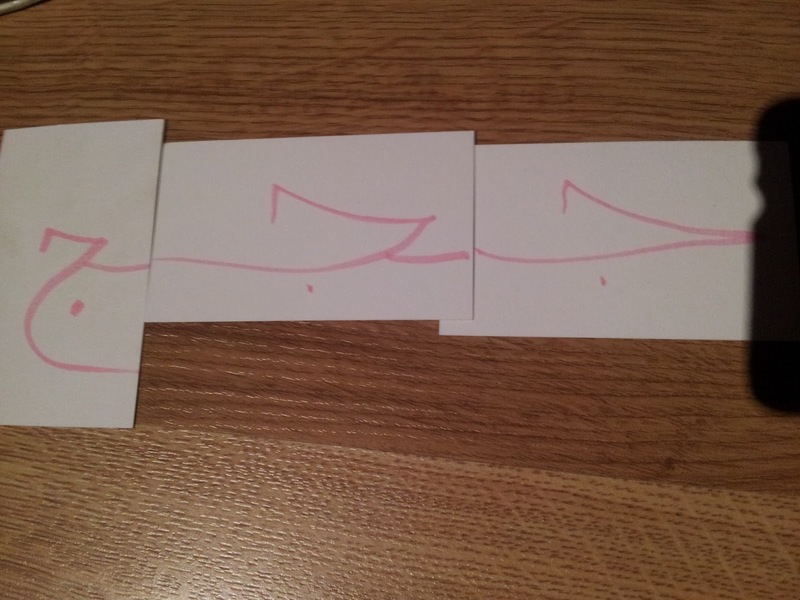 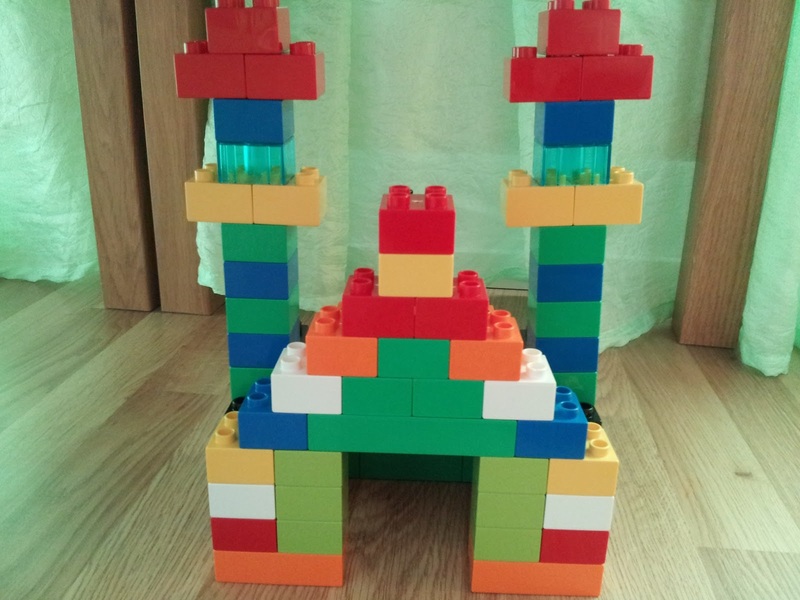 Then he easily put shapes in right places alhamdulillah. 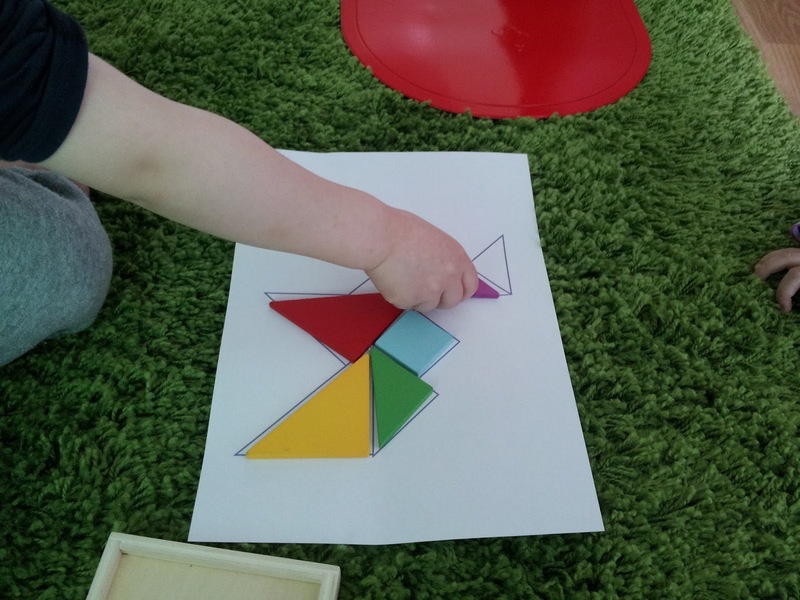 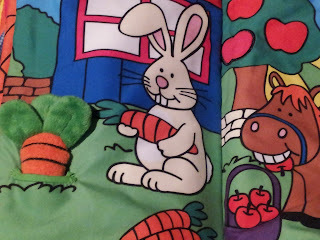 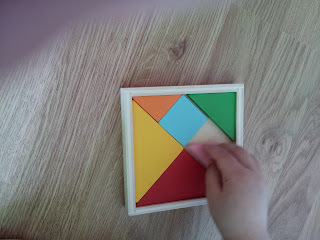 After little practice he easily put shapes for another sheet which has not line. 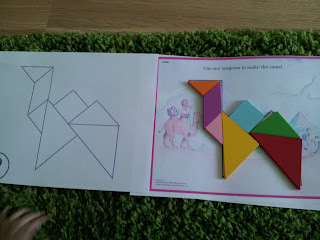 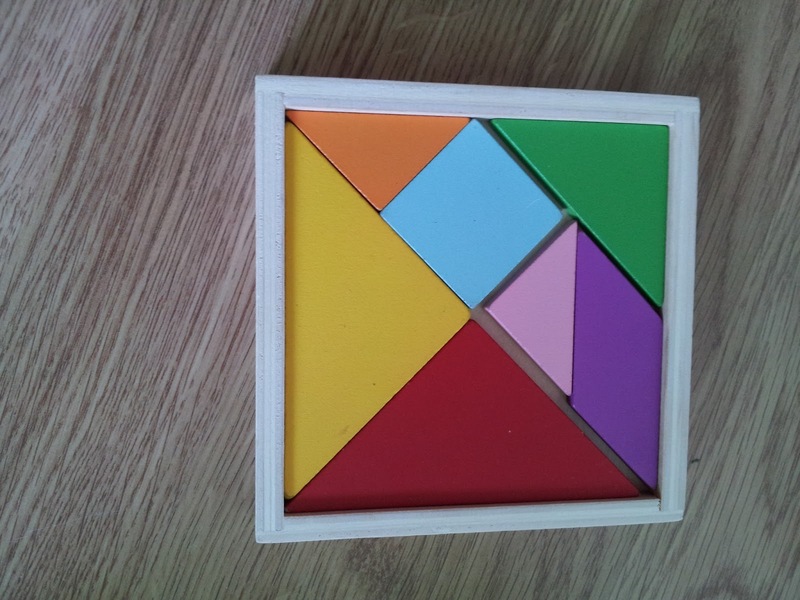 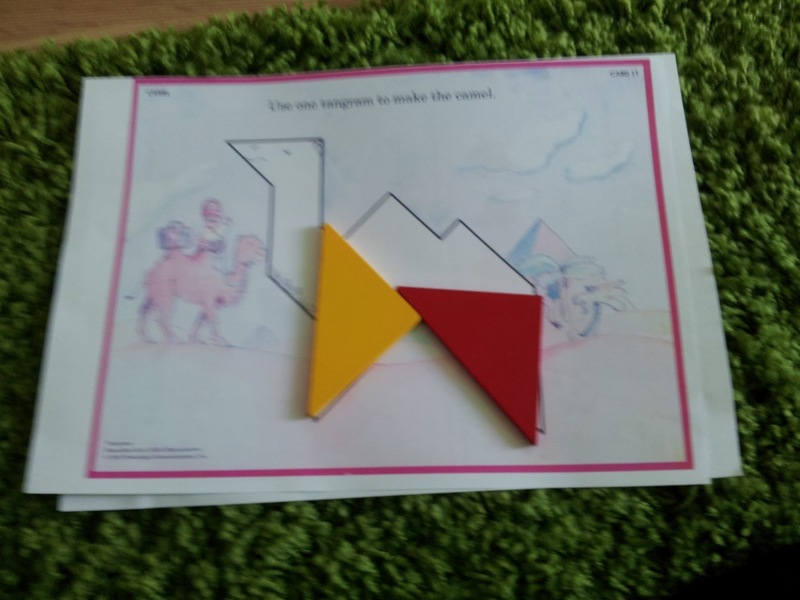 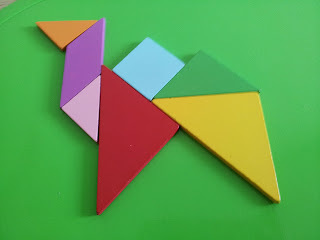 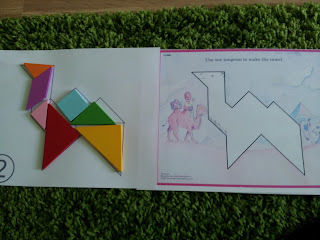 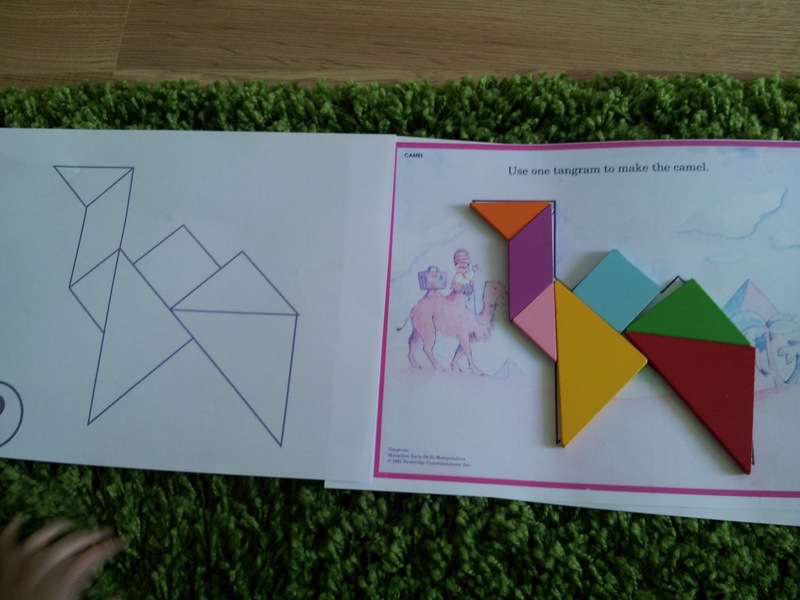 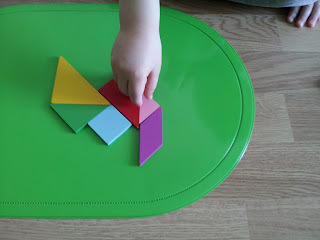 Trying to make tangram Camel without anykind of answers. 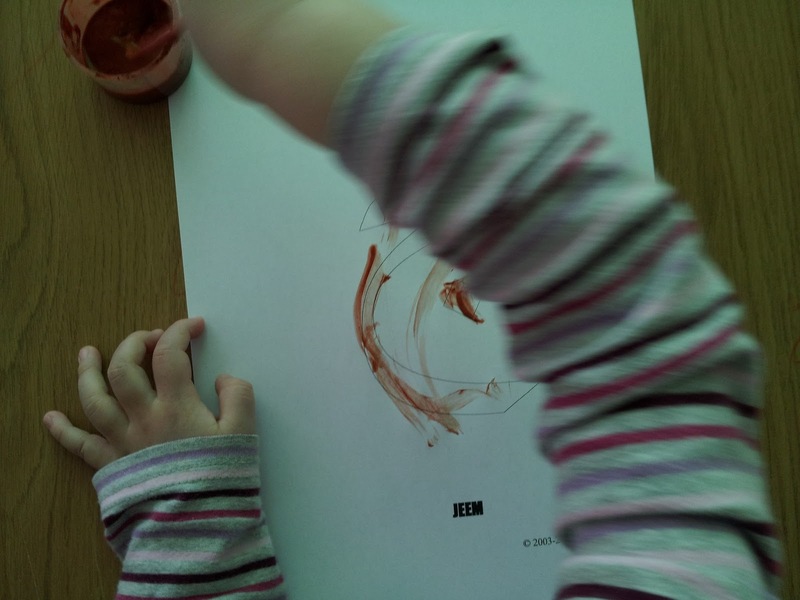 Other new words for letter "Jeem" and opposites. 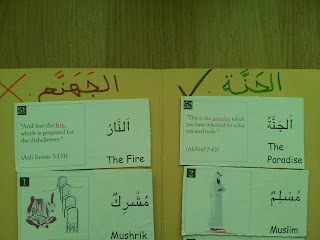 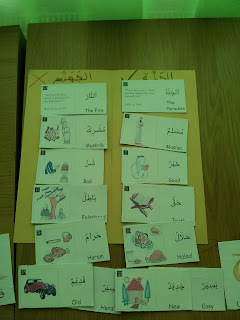 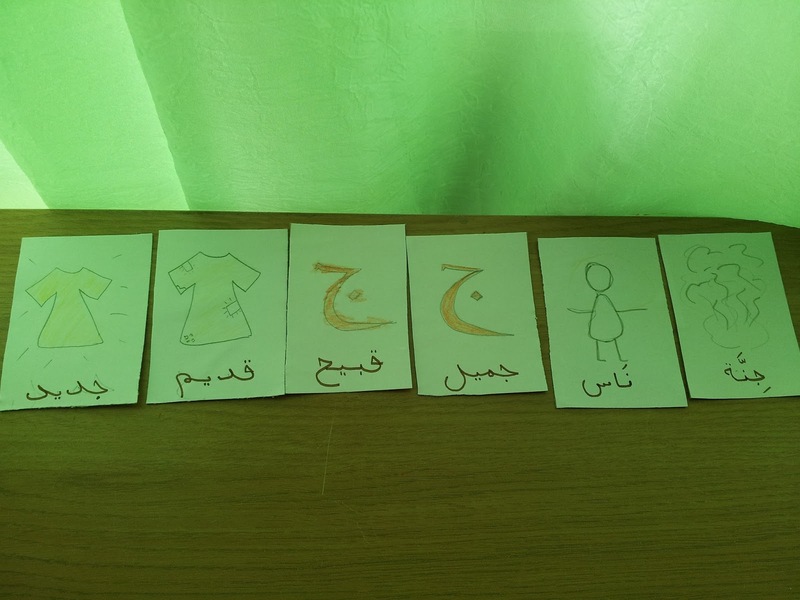 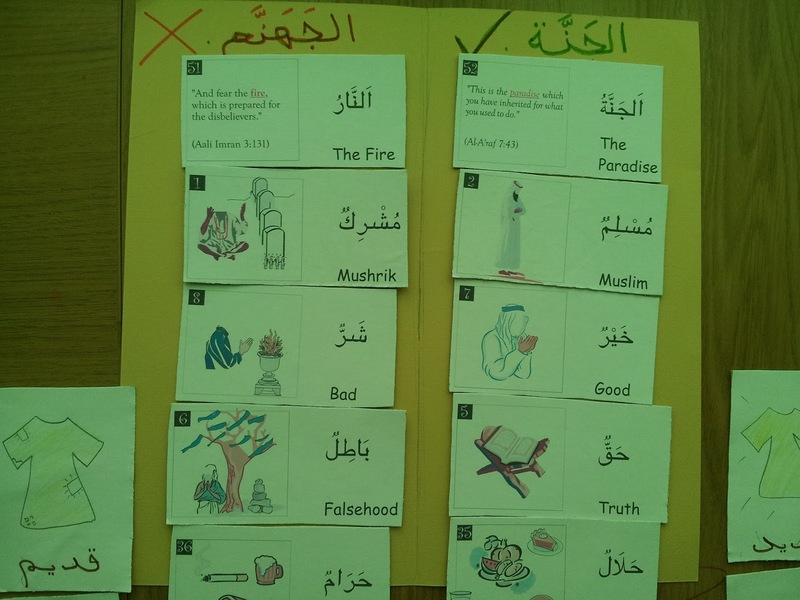 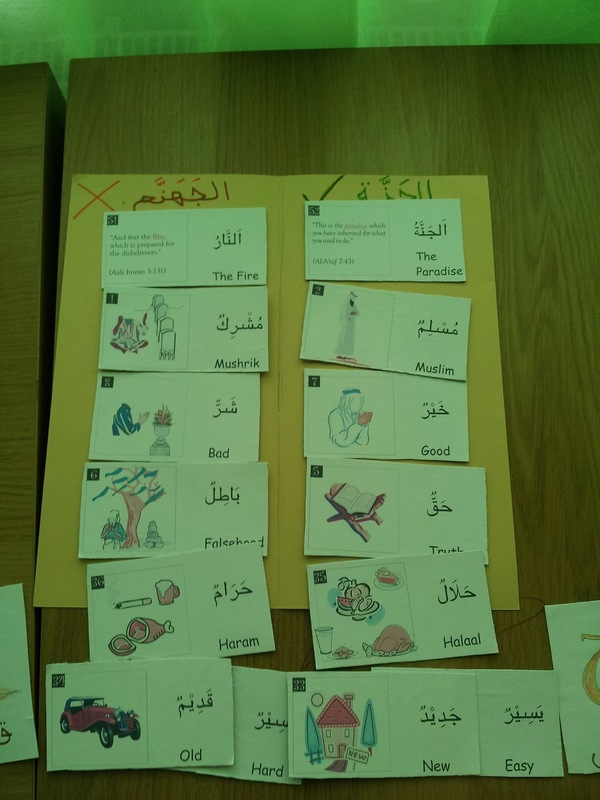 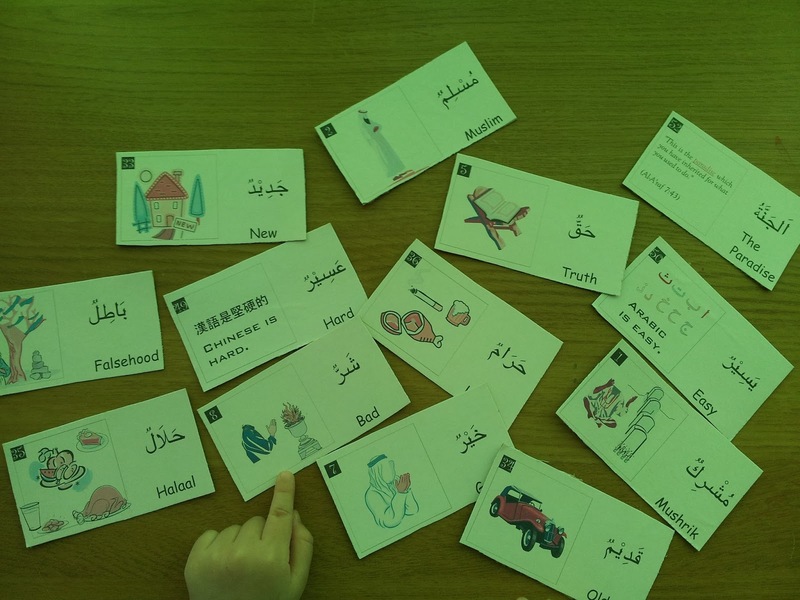 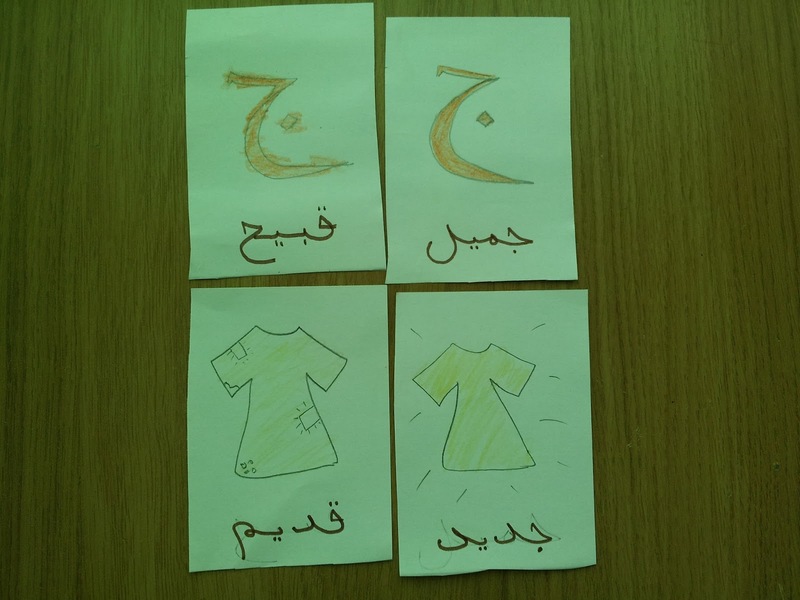 We learned about "Jannah" and I made some cards from The book of opposites. 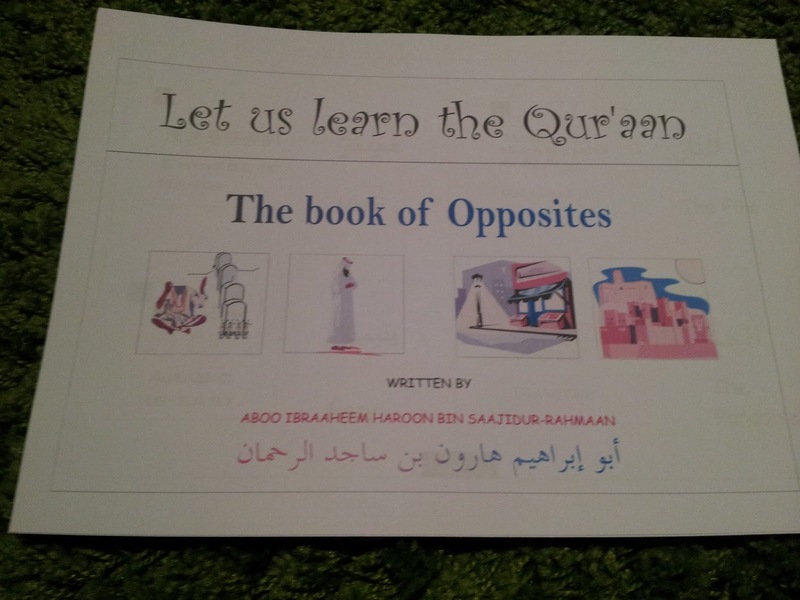 When I told for A we can go to paradise after this Dunya adn all mankind'll die. He little bit cried, he wanted to go to enter to Jannah but he didn't want to die. When I explain for him then he understood alhamdulillah. 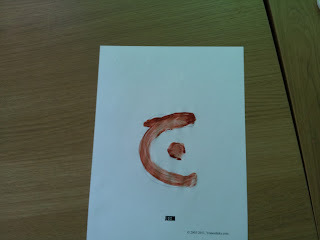 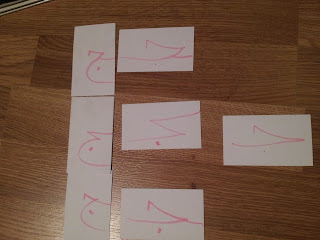 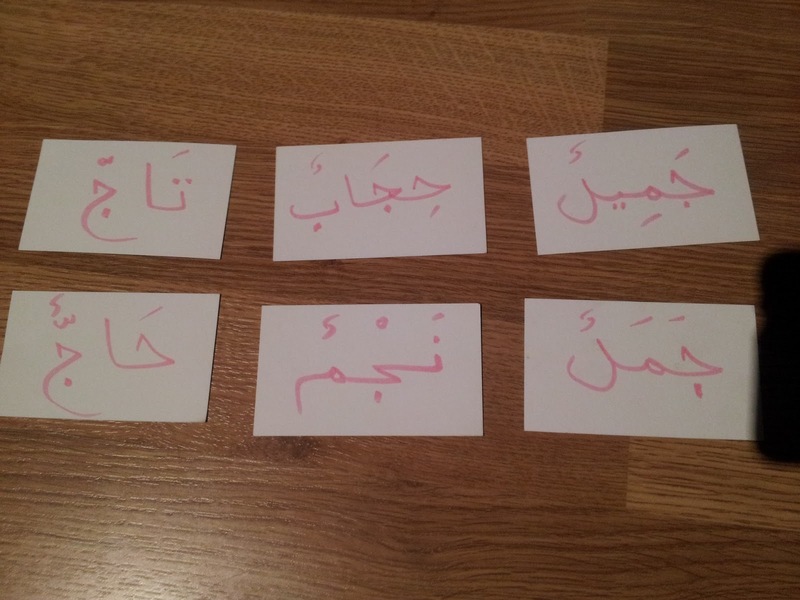 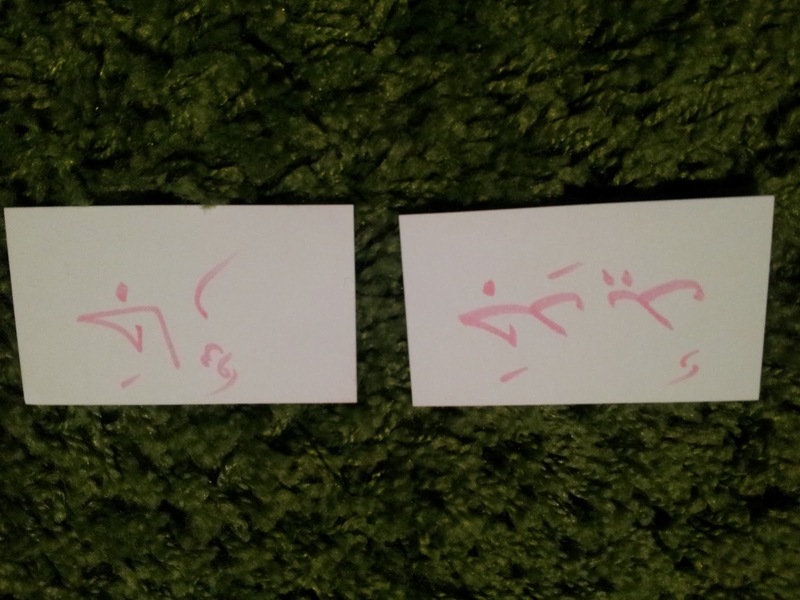 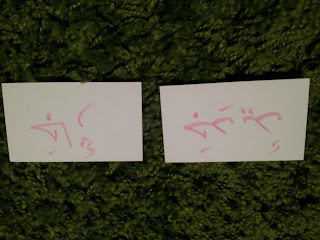 And I made letter cards with diffrent writing ways. 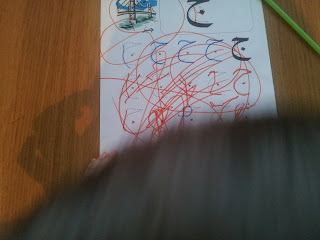 And some words to finding and sorting letter Jim. 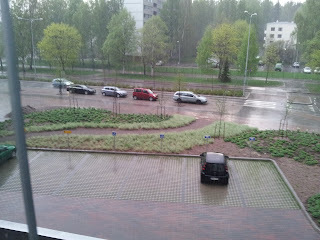 Just for us "Aljaru jadid" The new neighbour. 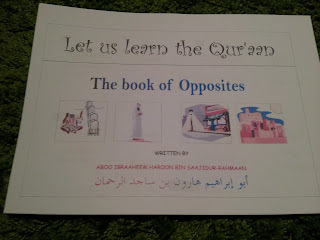 We read this book befor and now again alhamdulillah. 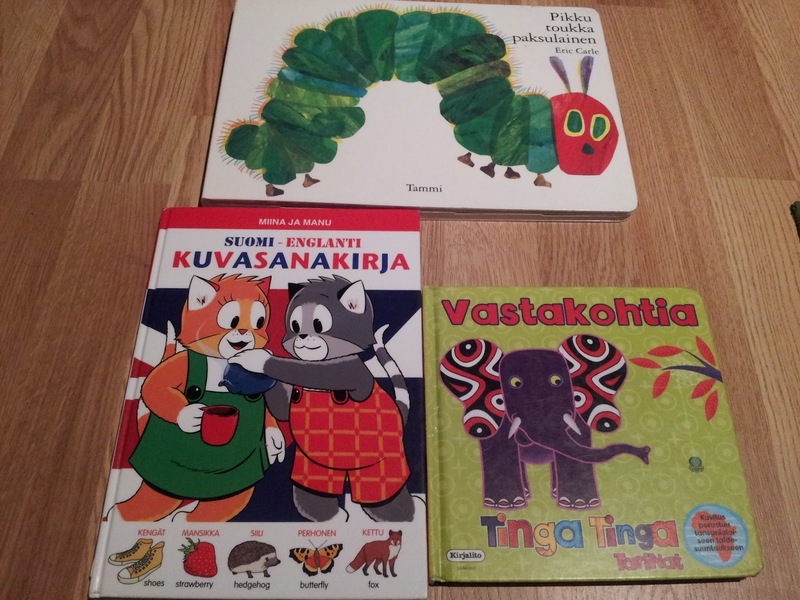 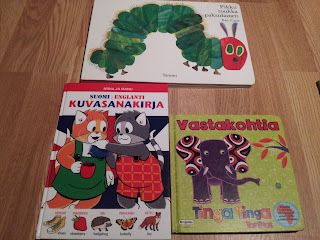 Some finnish books from library. After Spring theme kids more interesting to insect and plants. 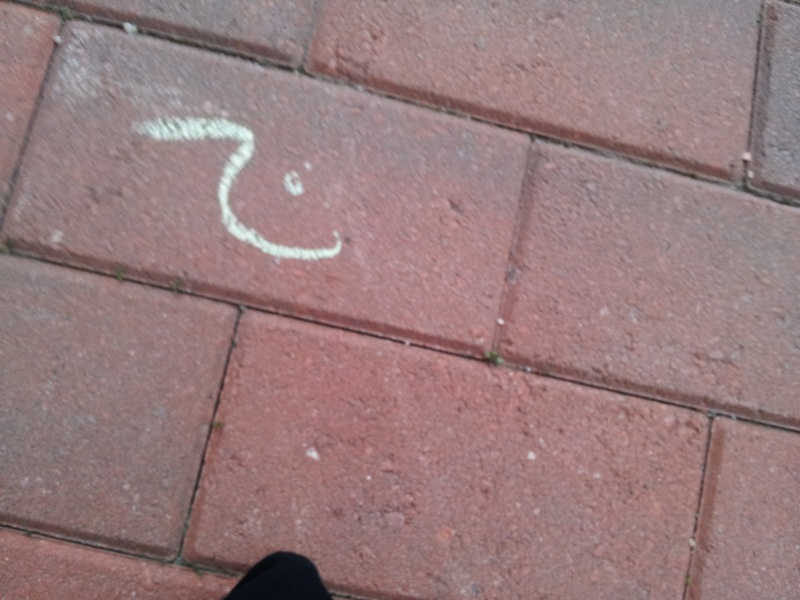 A spoted there is no egg)). 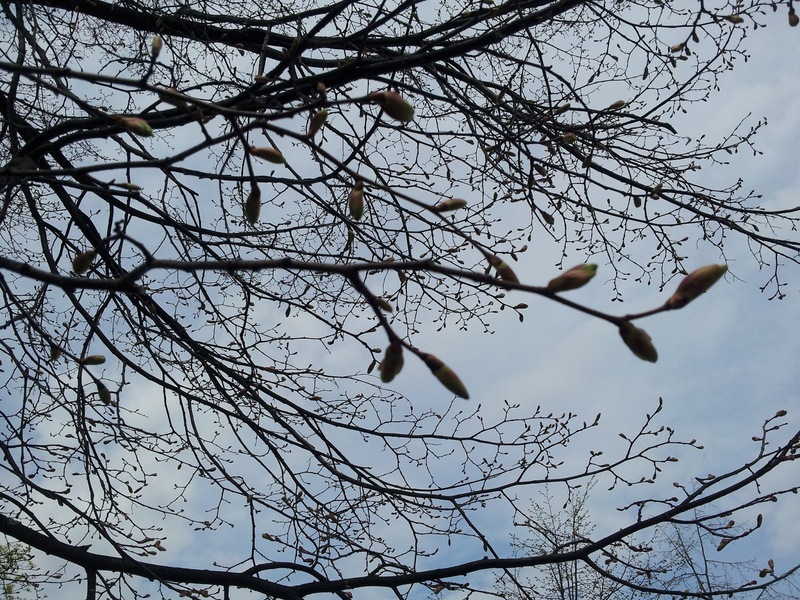 trees , we can see life after death subhanaAllah. 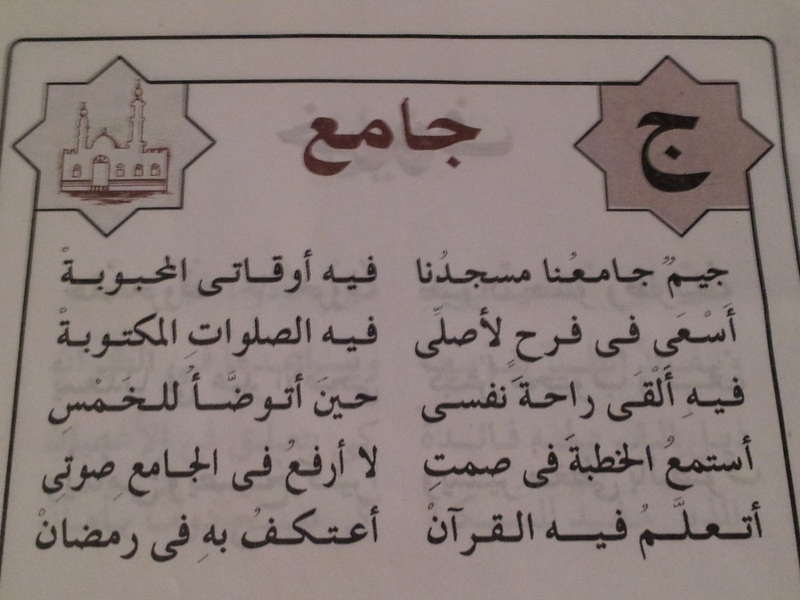 And we learned Allahs beautiful name "al-Jamil". 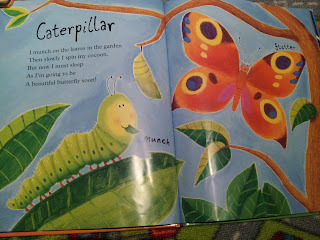 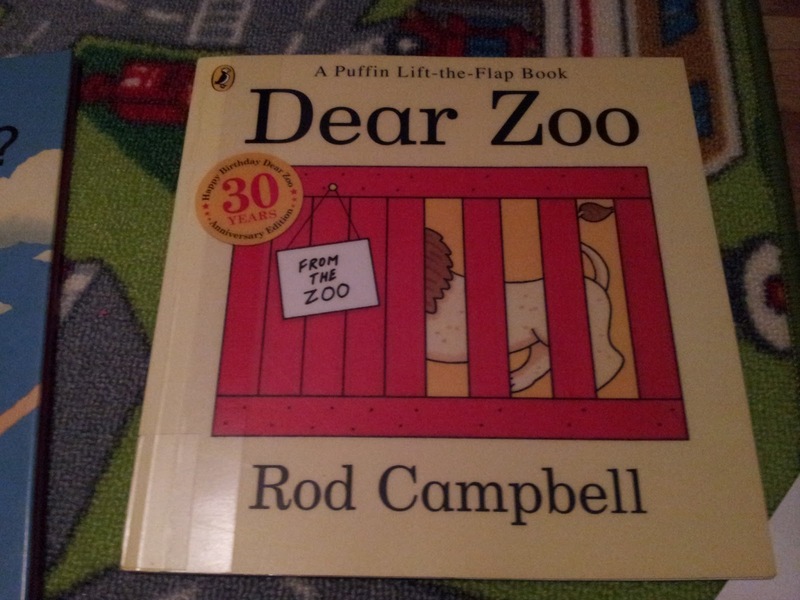 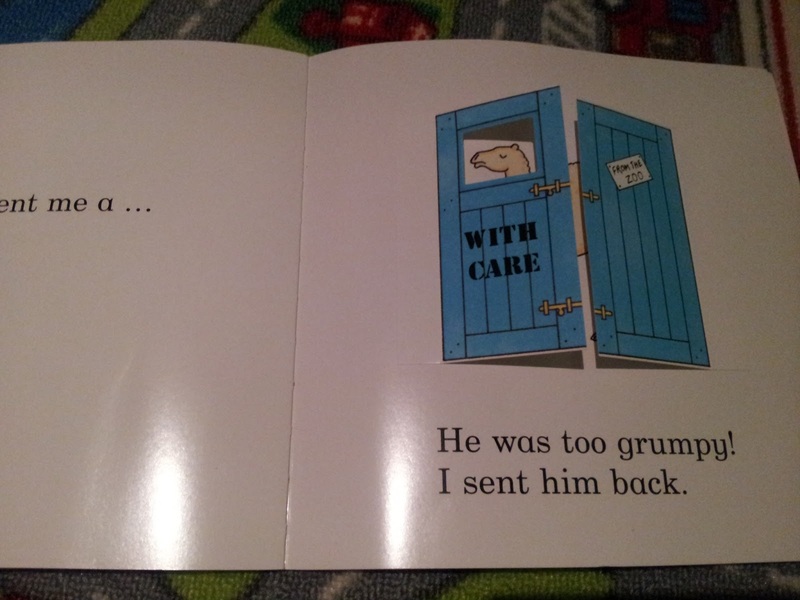 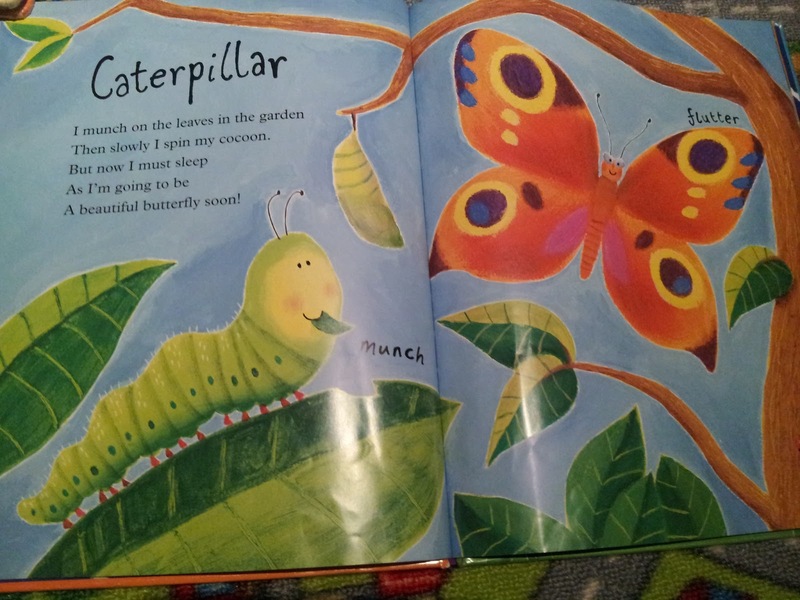 other book with picture Jamal. 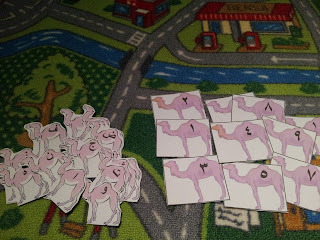 InshaAllah i want to do one book where we can collect all A 's work and some activiy with theme Camel, inshaAllah when i finished it i'll add here. 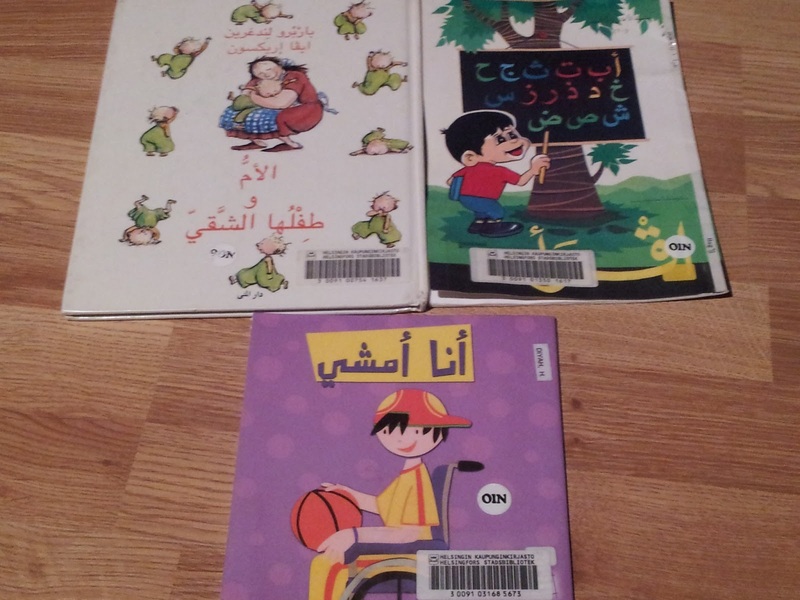 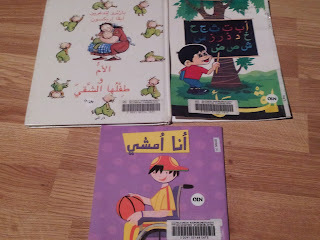 Some arabic books from library. 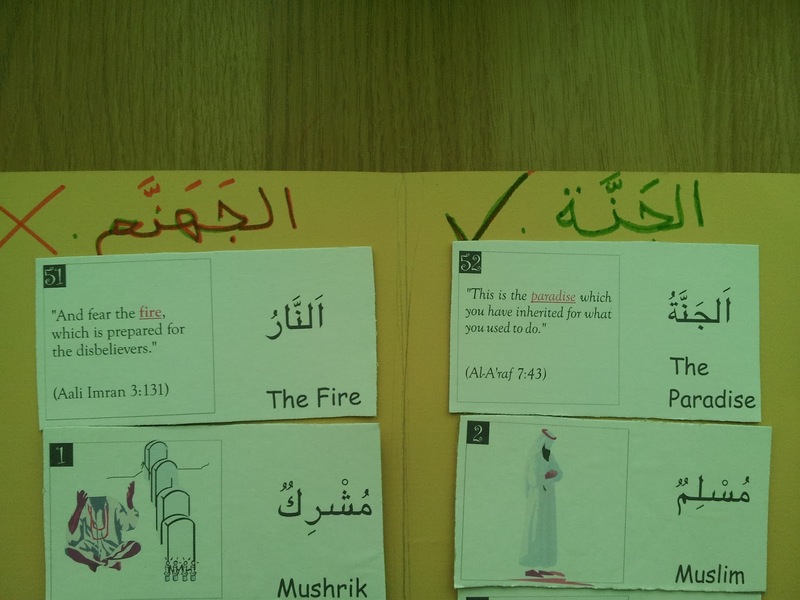 Jeem for Jum'ah and for Jama'ah. Building masjid together. 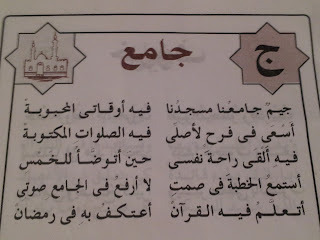 Jama'ah already leaved masjid)). 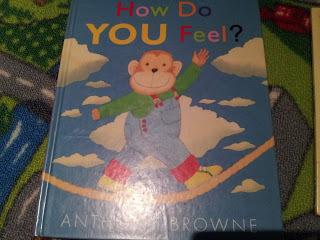 After dear sister Umm Karim i also wanted to teach A about feels and alhamdulillah I found this book from library. 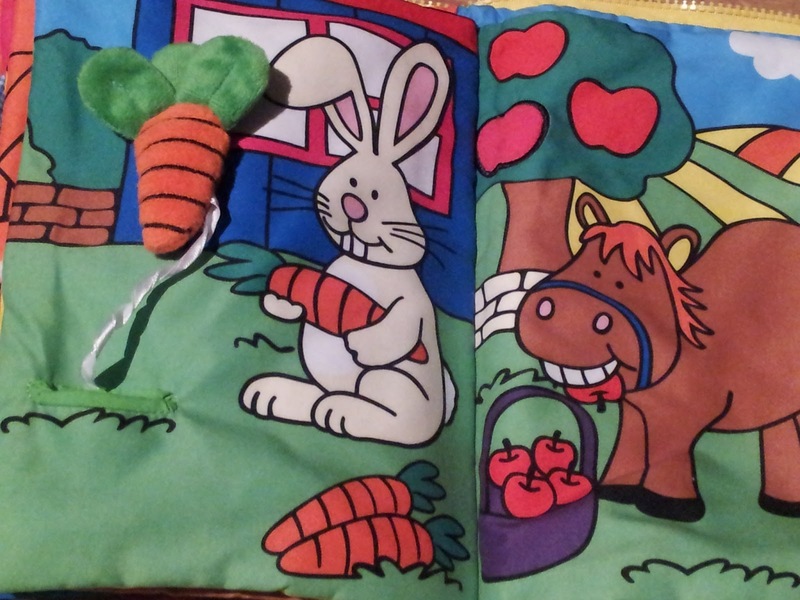 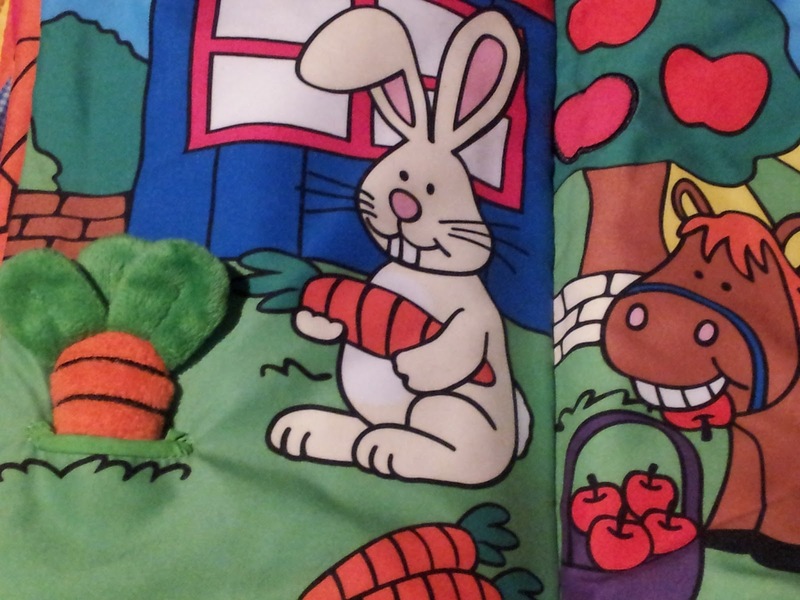 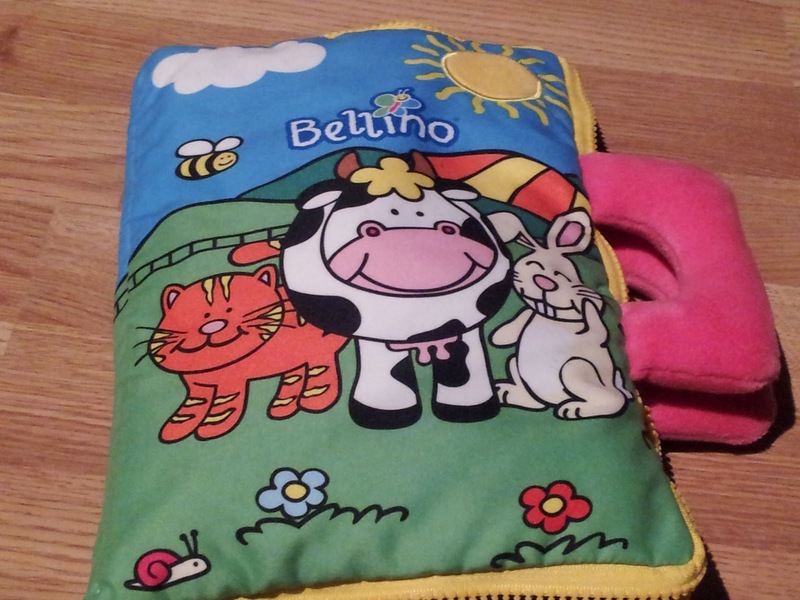 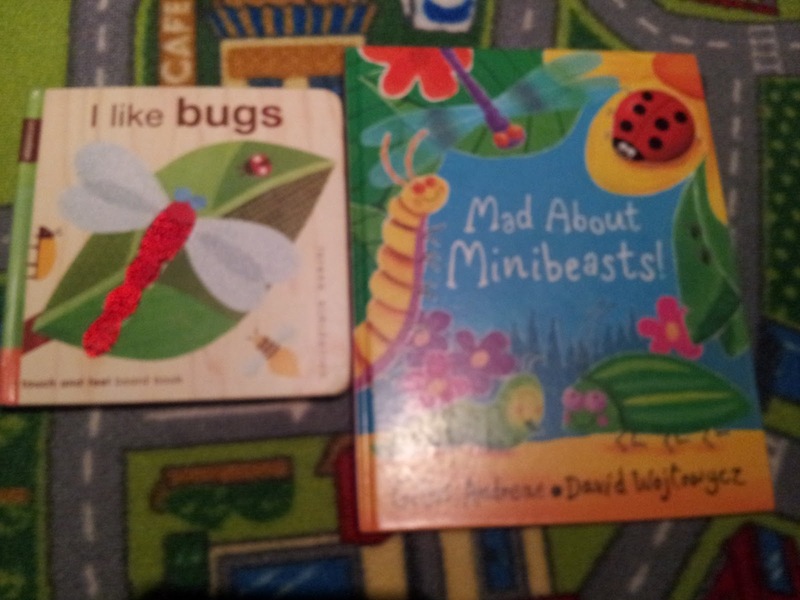 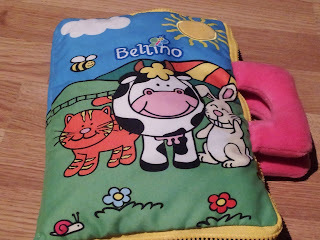 This one M's felt book, we can see Jazara inside this book. Me with A were in itis on Saturday and we saw Arnab and parrot. 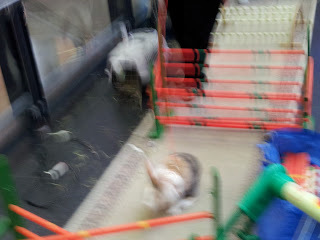 The picture is not clear. 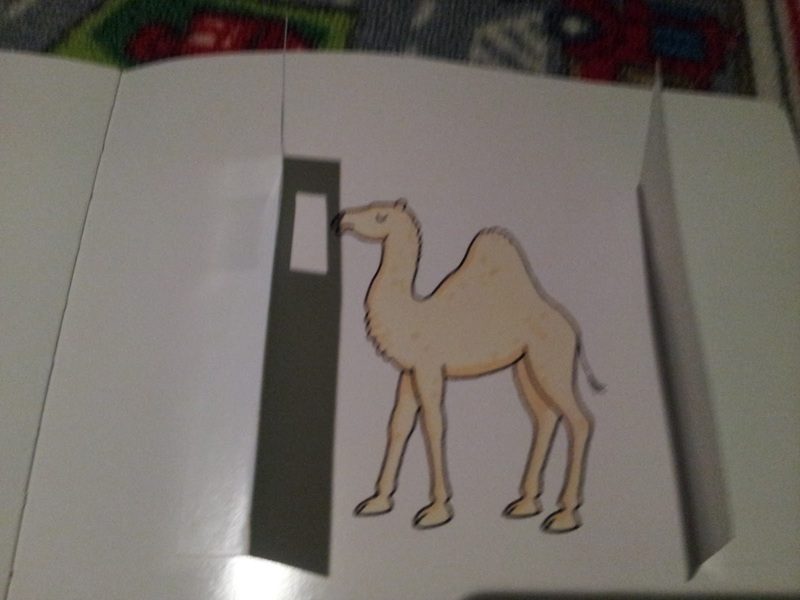 Sorry for this. 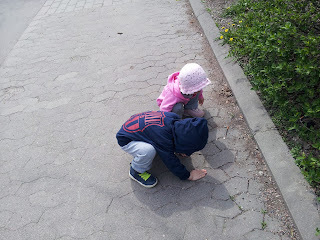 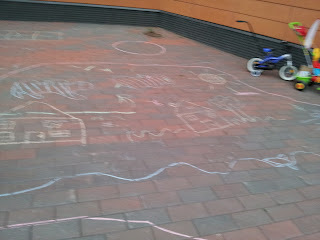 After came back home we played in outside. When we was at home it started rain subhanaAllah. 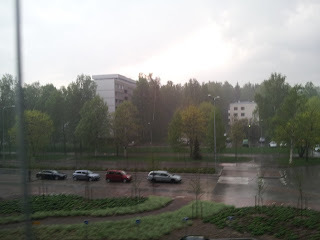 We repeated weather word "Mumtir" rainy, it was "Barq" lighting and "Ra'd" thunder. 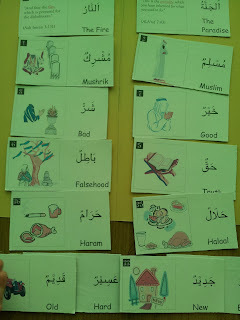 And learned duas for all of them , alhamdulillah.